Automotive tires are made of flexible rubber which is vulcanized with wire and fabric and support the load while braking and steering. All tires feature their size, safety, load and air pressure information on the sidewall. Tires absorb impurities in the road helping provide a smooth ride and are available in many different styles designed for a variety of applications. Off-road vehicles tend to have a more aggressive tread pattern with a reinforced sidewall. Trailer tires are generally bias ply, while passenger car tires are a radial based construction. When a tire alignment is out of specifications, or the vehicle has a worn steering component such a tie rod end or a failed suspension part such as an upper control arm, it can cause the tire to wear prematurely due to the scuffing or feathering action. When a tire has been run overinflated the center of the tread will wear out prematurely and the vehicle will have a more ridged feel to the ride. 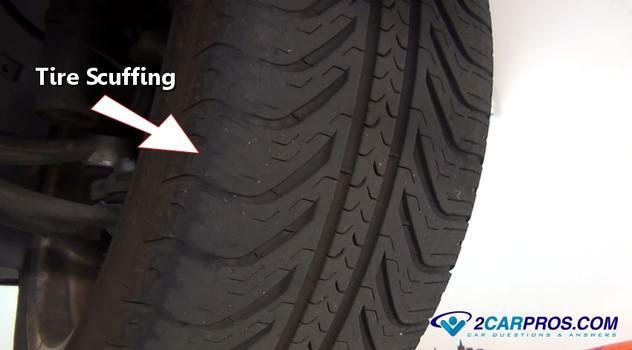 Tire cupping is caused by a tire being out of balance, or a worn strut or shock which allows the tire to bounce which produces this uneven tread pattern. 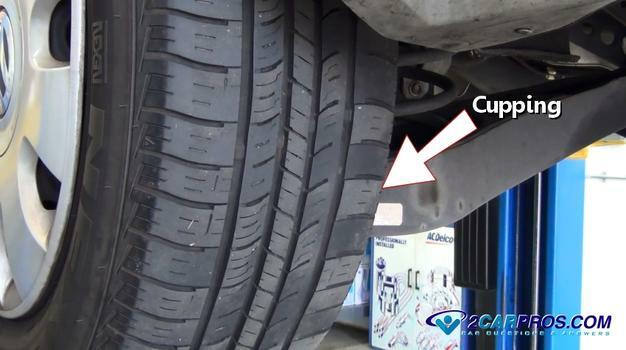 Sometimes a tire will have unusual tread wear patterns like flat spots, cupping or extreme wear on one side of the tire, these can be indications of weight overload, balance problem, under-inflation, failed front end suspension components or misalignment. Tires can have different life expectancies depending on driver habits and road conditions. 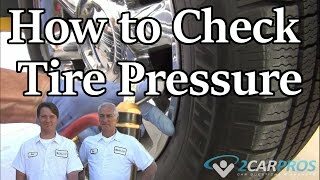 It's the responsibly of the driver to inspect tire condition ( small punctures, cuts and embedded sharp objects like screws, nails, broken glass and metal ) and to check air pressure regularly using a tire air pressure gauge. After an air pressure examination, reinstall the valve cap to prohibit moisture from entering the valve stem mechanism. Tires are designed to run on a specific air pressure according to weight, correct air pressure is essential for proper vehicle operation and will improve mileage and performance as well. If a tire is ran under inflated, it will cause the sidewall to over work itself resulting in internal tire failure, under inflation can also cause poor gas mileage by increasing rolling resistance. Most vehicle's tires can be rotated to increase usability, which always should be done front to back, never change the direction a tire rotates for this can cause the tire to come apart or have integrity issues. The depth of the tread should be inspected at every service interval and be replaced once the wear bars have been exposed. 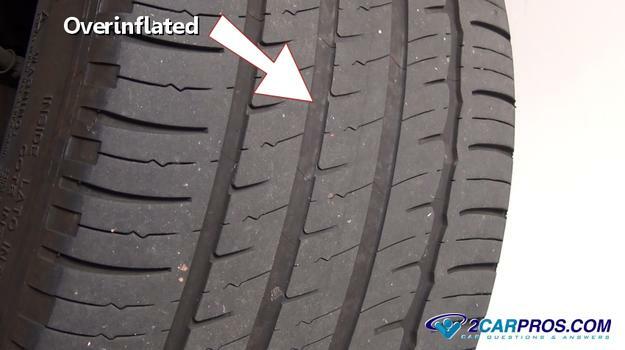 There are two types of these run flat tires; one construction includes an inner bladder that is filled with air that is used when the main tire has lost its air pressure, the other style of run flat tire is constructed of a thicker rubber sidewalls that will hold the vehicles weight. 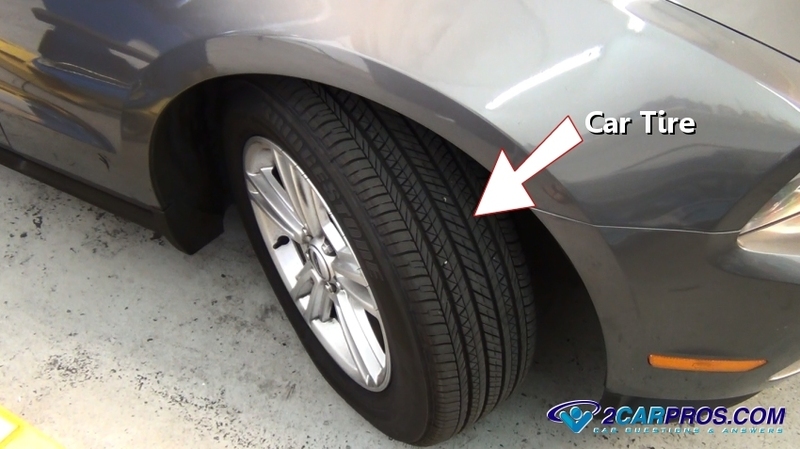 Vehicle's equipped with run flat tires usually means there is no spare tire.